When Paul Pomroy took charge of McDonald’s UK as CEO in February 2015, he spearheaded one of the most ambitious re-imaging transformations the company has ever seen, bringing the familiar and much loved stores into the future. “We are almost half-way through the re-imaging program now. We are committed to re-imaging all our 1,250 restaurants. The belief that I have is that we have to keep upgrading the customer experience and make sure that we keep investing in what truly matters to our customers,” says Paul. We’re continuing to focus on what really matters to our customers around nutrition and choice. We’ve continued our journey to reformulate our food, removing sugars and salts. For example, we have removed up to 30% of the salt from our happy meal menu in the last 10 years. 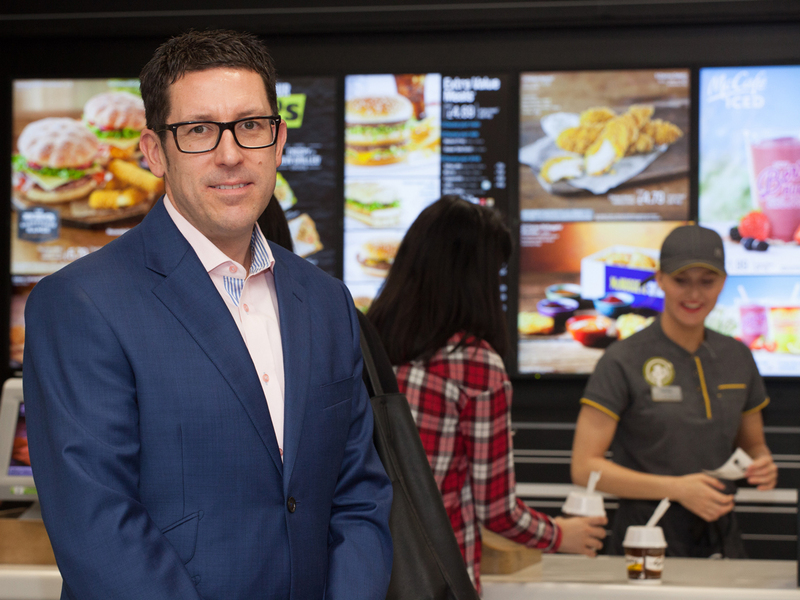 From the introduction of table service to a new Signature range of gourmet burgers, McDonald’s UK has been busy making sure it is doing a lot more to meet customer expectations than simply giving restaurants a facelift. “Every product is now freshly prepared for every customer and we continue to expand our menu through the promotional calendar we have, introducing new blended ice drinks, smoothies or frappes through the summer,” Paul says. Having spent 20 years with McDonald’s, Paul has become frustrated with some enduring myths surrounding the business. He believes these misunderstandings devalue the passion and commitment from his staff, the McDonald’s supply chain, and its long term partners. For these reasons, Paul has been proactive about engaging the media and his stakeholders to set the record straight.